Keeping the grandchildren entertained and occupied during the school holidays can sometimes be difficult. 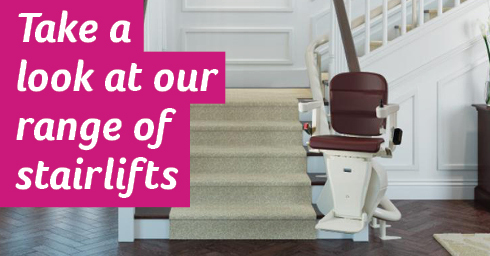 For many grandparents who suffer from mobility problems and use a stair lift, this can make going out for the day even more complicated. This, however, doesn’t have to be the case as there are lots of top activities and attractions that grandparents and grandchildren can enjoy together. This article highlights the most accessible activities and attractions grandparents and grandchildren can do in the South West of England. If you are looking to go on a day out with your grandchild, then heading to Longleat is a must when considering attractions and activities to do in the South West! The first-ever safari park outside of Africa is home to cheetahs, lions, giraffes, monkeys and lots of other species from around the world. If you’re driving through the monkey enclosure you need to keep an eye out for them as they are notoriously naughty, while new for 2019 are giant otters and Cuban crocodiles. As well as the safari drive there’s the Longleat House and grounds and an adventure park that grandchildren will love. Longleat is easily accessible to grandparents that struggle with their mobility as it has disabled toilets and changing facilities available, wheelchair hire and disabled parking. The National Marine Aquarium will give your grandchildren the chance to experience life under the sea as visitors will meet over 4,000 creatures. As the UK’s largest aquarium, you can expect to see a variety of well-known marine animals as part of six different zones that feature marine life from Plymouth Sound to more exotic destinations such as the Great Barrier Reef. You can see Green Turtles, a Giant Pacific Octopus and Sand Tiger Sharks to name just a few. The National Marine Aquarium is fully accessible with ramps and lifts throughout the building as well as free wheelchair hire for visitors with mobility issues. At the National Seal Sanctuary, you can get up close and personal with the seals who have been rescued and protected. There’s also penguins and otters that you can see as well as rock pools where you can hold a crab or a starfish. After starting from humble beginnings, the sanctuary now has nursery pools, convalescent and resident pools. It has rescued many seals over the years, and many have been released back into the wild after treatment. There are some accessible parking spaces near the seal pools and hospitals, and during the peak time of the year a safari bus runs from the reception and stops at the major attractions at the sanctuary. The bus is able to load manual wheelchairs. If you’re looking for a history packed day out in the South West, then a visit to the Roman Baths should be at the top of your bucket list. Here your grandchildren will be amazed as history is brought to life by meeting costumed characters and are able to learn simple Latin phrases. There is a child-friendly audio guide explaining the history of the site and a tour that will help visitors discover a collection of over 17,000 silver coins. The site is 90% accessible to wheelchair users as there is a flat path to the entrance of the attraction and lifts inside which can take you to different levels of the Roman Baths. There are also wheelchairs available to hire for those of you who struggle with their mobility. The iconic biomes that are synonymous with the Eden Project are full of things to see and do. In the Rainforest Biome, you can feel the tropical heat and experience four of the world’s rainforest environments: Tropical Islands, West Africa, Southeast Asia and Tropical South America. Whereas the Mediterranean biome has over 1,000 variety of plants and visitors can walk through the landscapes of the Mediterranean, South Africa, Western Australia and California. There are also outdoor gardens, and these include the iconic Eve sculpture, an orchid display, an invisible worlds exhibition and a rainforest canopy walkway. If you know your grandchildren love teddy bears, this is the perfect place for them as you will discover an incredible range of bears that have been collected for more than 100 years. There are people-sized bears, TV favourites, antiques and modern-day teddy bears, and this unique museum is fun for all the family. If you want to take a teddy bear home you can as the museum’s period shop stocks top brands such as Steiff Teddy Bear, Merrythought, Dean’s, Gund and lots more. Unsurprisingly, Crealy has been voted the ‘Family Attraction of the Year’ seven years running and with 60 jaw-dropping rides and attractions you can see why. There’s the Tidal Wave, The Twister and the Maximus rides, which are all extremely popular. Younger grandchildren can enjoy 75,000 sq. ft of indoor soft play, while the Bugz Unlimited and Jurassic Jungle of Dino Jeeps are great for all ages. There are also lots of great events and live shows that take place at Crealy throughout the year so keep your eye open for any upcoming events. In terms of accessibility, the park boasts flat and tarmacked paths, special car parking areas, wheelchair accessible restaurants and shops, accessible toilets, manual wheelchair hire and free admittance to the park for wheelchair users and visitors with mobility scooters. There are lots of picturesque towns and villages located all over the South West and here we’ve taken you through some of the great destinations you could visit with your grandchildren. Clovelly (North Devon) – This small village is picturesque with its beautiful harbour and unique cobbled streets. If you are a wheelchair user, then it is not advised to go on these cobblestone streets. Cheddar (Somerset) - The village is where Cheddar Cheese came from and it has been produced here since the 12th Century. There are lots of attractions you and your grandchildren can visit here, including the Cheddar Gorge. Padstow (North Cornwall) – This picturesque fishing port is surrounded by glorious sandy beaches and it is renowned for being a top foodie destination. There are eateries such as Rick Stein’s Seafood Restaurant and the wonderful Camel Trail located here. Weymouth (Dorset) – This seaside town is jam-packed full of things to do, including taking a ride on a revolving viewing tower, relaxing on the towns sandy beach or exploring the Jurassic Coast for fossils.